1.) Keep Playing - Vacation is beautiful…………but so is music! By keeping the instrument over the summer, you offer your musician a chance to keep up their hard-learned skills from the school year, while exploring new and stress-free ways of making music. 3.) Guaranteed instrument for the fall. Check one thing off your “start of the school year” list – keep your instrument, and you are ready for the upcoming year! 4.) Music camps – memories made at camps are often everlasting, and music camps are a great way of encouraging teamwork. 5.) Form a band - make new friends! 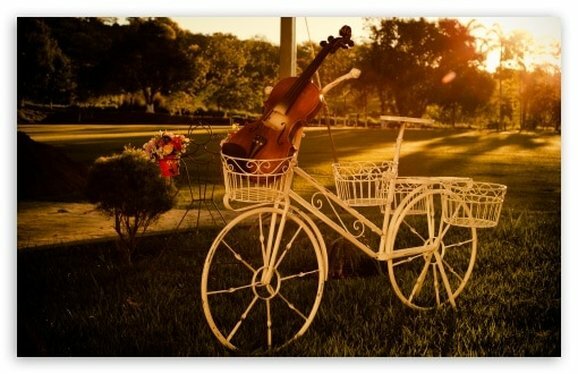 Take your instrument outside (in the shade) - breath in the fresh air and play that tune. Call a friend and have a jam session. Music has no bounds. Happiness keeps you healthy. So, go out there and play! If you plan to keep or return your instrument and have any questions, please call or email us!